my_length([_|Rest],Cnt):- my_length(Rest,Cnt0),Cnt is Cnt0 + 1. 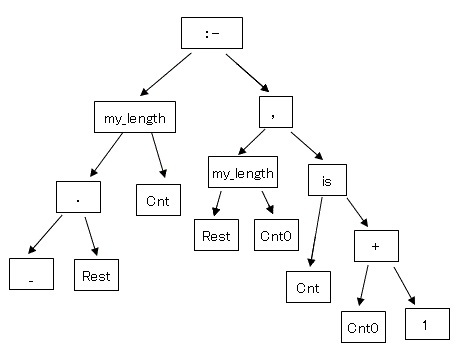 List = [',', a, (b, c)]. 8 ?- abc(','(prm1,prm2)) = abc(prm1,prm2). Y = ['. ', a, [b, c]]. Rest = [b, c, d].